One of the world’s leading ethical businesses, The Body Shop, have last night released an new and exciting global strategy to further their commitment to becoming the world’s most ethical and sustainable business. 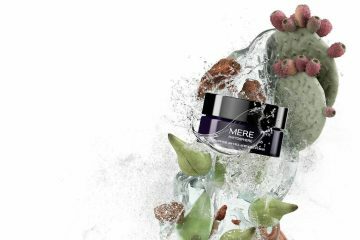 The monumental commitment entitled ‘Enrich Not Exploit’ embraces The Body Shop’s strong ethical commitment to protecting and nurturing the environment. The Enrich Not Exploit campaign proposes fourteen targets within three categories; Enrich our People, Enrich our Products and Enrich our Planet. 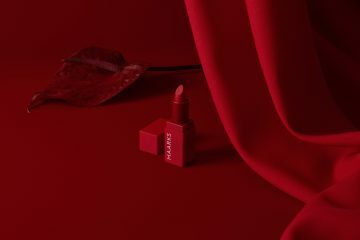 These strategies are set to be measurable by 2020 and include a commitment to ensuring 70% of their total packaging does not contain fossil fuels. They also aim to help 40,000 economically vulnerable people access work around the world and reduce by 10% the energy use of all their stores each year. Jeremy Schwartz, Chairman and CEO of The Body Shop, said “we want our Enrich Not Exploit Commitment to inspire a new generation of customers, supporters and especially millennials who truly care about how a company operates. Re-establishing The Body Shop as a leader will come from delivering our ambitious aim to be the world’s most ethical and truly sustainable global business”. 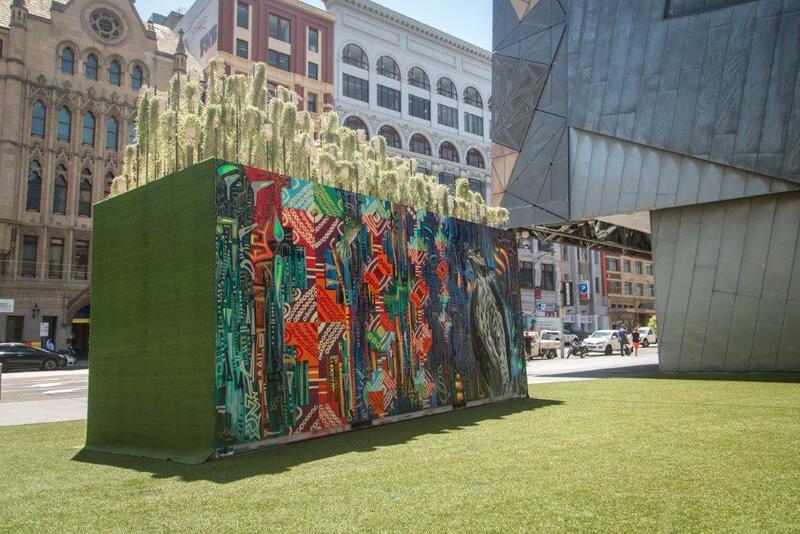 Located at the Federation Street Amphitheatre of Federation Square is a contemporary visual installation drawing inspiration from The Body Shop’s ethical commitment. 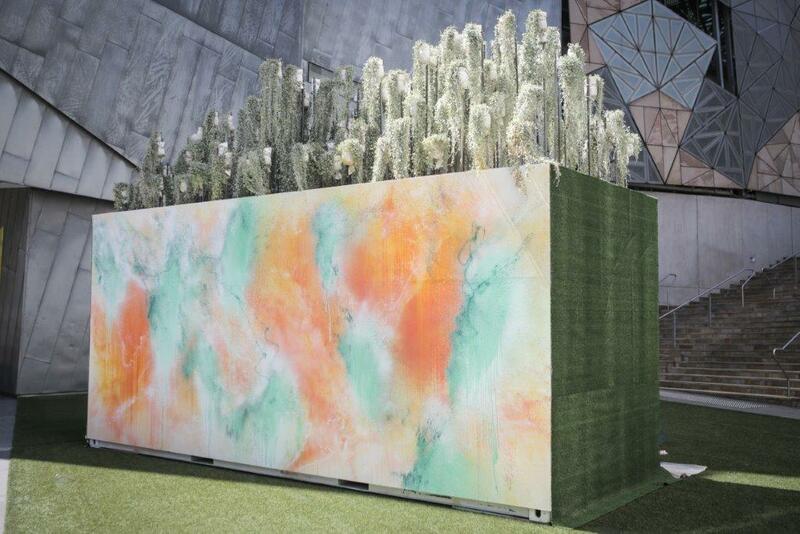 Respected contemporary artists Ash Keating, Rus Kitchin aka AIM and Paul Hyland have come together to create their own unique works, applied to the 20 foot container stationed within the amphitheatre. 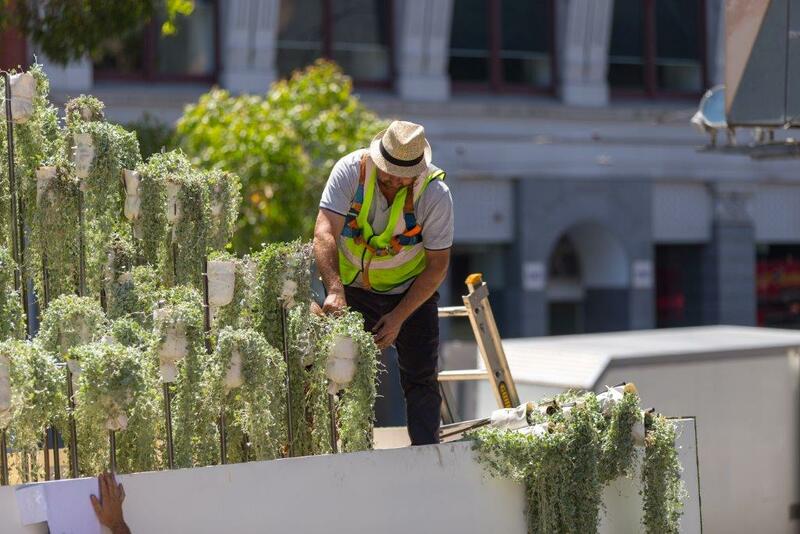 Locals were encouraged to watch these creatives at work, before the highly anticipated reveal that took place yesterday morning. 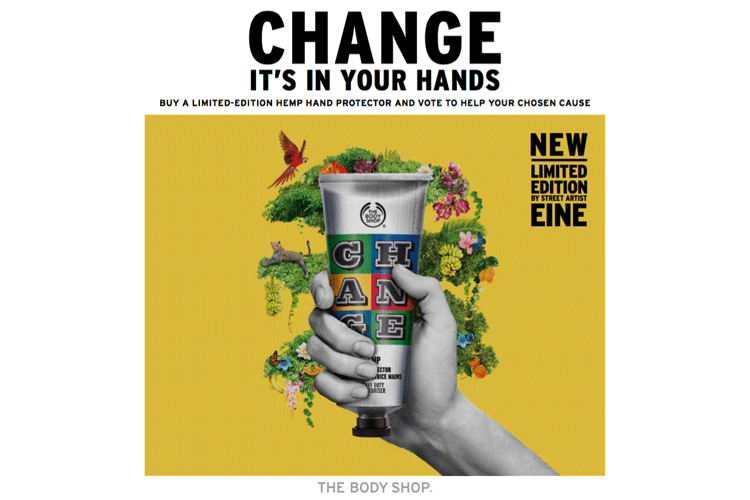 Adhering to The Body Shop’s bold ethical strategies, they have also enlisted world renowned street artist BEN EINE to create a striking package redesign for the limited edition Hemp Hand Protector. 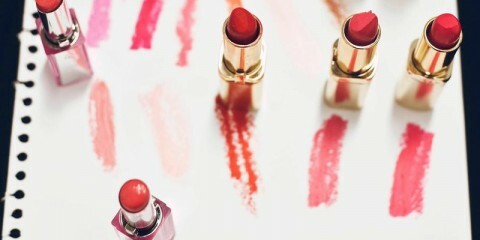 For every sale of this limited edition product purchased globally, £1.50 will be donated to The Body Shop Foundation.